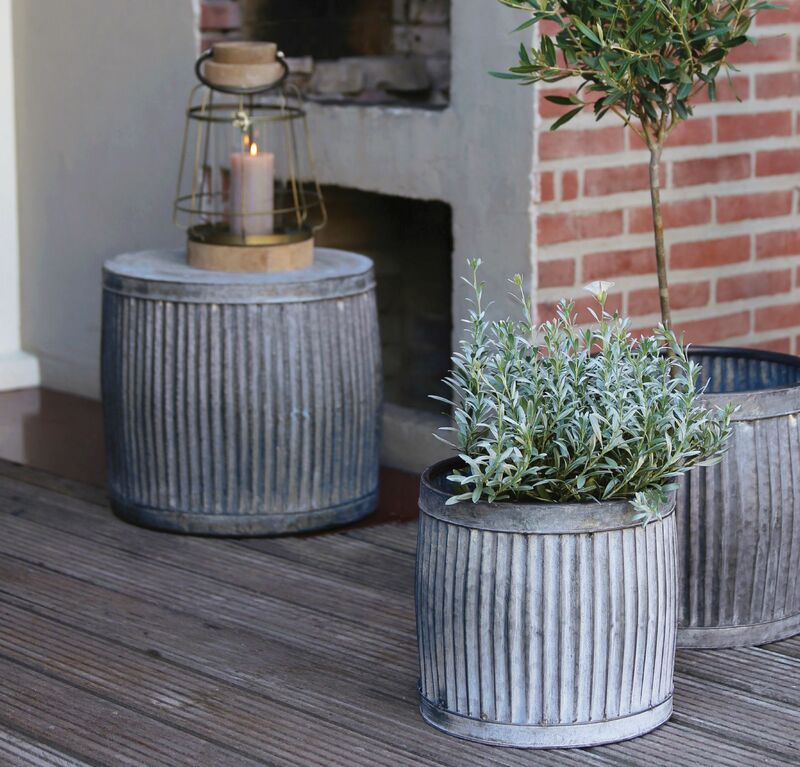 These fluted zinc garden and house planters are a classic design. They look great and work equally well both inside and outside (not just as planters...they can be turned over and used as side tables, as in the picture!). Ideal for small trees, shrubs, houseplants etc., they're a stylish addition to any space.